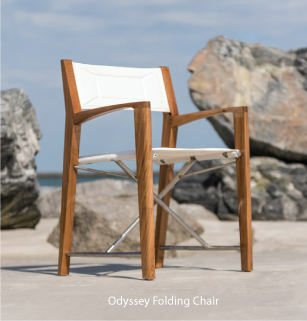 Westminster Teak's Collection of Teak Rockers and Rocking Chairs are known internationally for extreme durability, contemporary design and irresistibly smooth, sanded finishes. Lifetime Warranty. Each of our teak rockers are suitable for indoor, outdoor, residential, commercial and marine use. Quality Rated "Best Overall" by the Wall Street Journal. "We purchased a table and 4 chairs, an umbrella with stand, 2 rocking chairs and a foot stool/side table in July, 2006. Never having seen Westminster Teak furniture except on-line, we hoped it would be as beautiful as it looked on our monitor. What a wonderful surprise when we received it...it was absolutely gorgeous and perfectly packed...way beyond our expectations!! It took less than 1/2 hour to assemble the rockers, and put the fabric on the umbrella. We are thrilled! We want to especially thank Michelle for all her help in answering all our questions and making this purchase so enjoyable. We will never buy our Teak from anyone else. I just received our rocking chair and I'm extremely pleased with it. The box arrived in a plywood frame that looked like it would withstand a tornado. The chair took less than 10 minutes to put together and it's now proudly sitting on our porch. I ordered the chair from Flo and she was wonderful to work with - efficient, friendly, and knowledgeable. The chair arrived exactly when promised. This won't be the last time I'll be ordering from Westminister Teak. Love it. Rocking chair is big, but she's beautiful. Thank you!